Among its achievements, Parsons Paris was the birthplace of the Parsons table, an icon of Modern design, in a studio led by the designer Jean-Michel Frank in the 1930s. 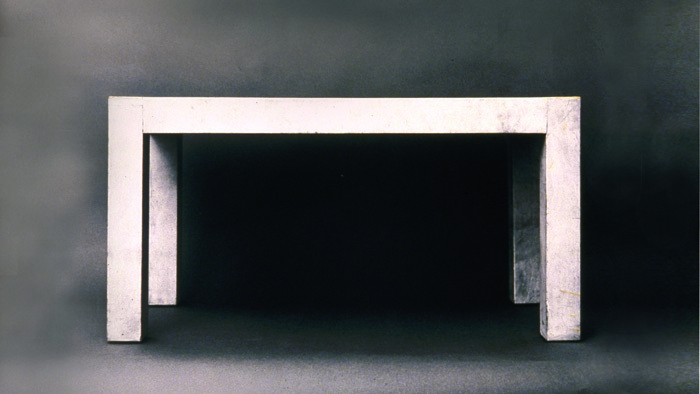 The original Parsons Table as photographed by George Chinsee. Image provided by the Anna-Maria and Stephen Kellen Archives, Parsons The New School for Design, courtesy of John Esten. “Parsons Paris has begun a new chapter,” said Joel Towers, executive dean of Parsons The New School for Design. Towers’ comments come as the school announces the opening of its latest academic center in the French capital. While the programs may be new, Parsons has a long history of engagement and exchange with this world center for art and culture, stretching back nearly a century. In 1921, Parsons became the first American art and design school to establish a campus in Paris. Among its achievements, Parsons Paris was the birthplace of the Parsons table, an icon of Modern design, in a studio led by the designer Jean-Michel Frank in the 1930s. Parsons Paris is situated in an intimate, atelier-like setting at 45 rue Saint-Roch in the 1st arrondissement, near many of the city’s important cultural destinations such as the Louvre, l’Opéra, and Musée des Arts Décoratifs. The school will offer undergraduate, graduate and study-abroad programs that reflect the areas of study at Parsons in New York, while contextualized to take full advantage of the city’s cultural resources. This includes undergraduate programs in Fashion Design, Strategic Design and Management, and Art, Media and Technology; and graduate programs in Design and Technology, Design Studies, Fashion Studies, and the History of Decorative Arts and Design. Parsons Paris will enroll an international mix of students, who will study with a faculty of French and European art and design educators as well as visiting professors from around the world. Students will become part of the larger community of The New School, the academic home of Parsons. This university, based in New York, offers interdisciplinary study in liberal arts, social sciences, international affairs, management, public policy, media studies and the performing arts. Students will be able to study online or at its New York campus, supplementing their coursework with classes in other subjects. Parsons Paris represents the first step in a new global initiative at Parsons, which recognizes how the quickly expanding interaction between cultures, markets and regions of the world has revolutionized the practice of art and design. In addition to Parsons Paris, the university is also developing projects in Mumbai, Shanghai, and other major urban centers. For more information visit www.newschool.edu/parsons/global. To learn how to be part of the first class of students at Parsons Paris, visit the Parsons Paris home page.